There have been a couple of botanical travel reports from Gotland with findings of white-flowered orchids, especially of Dactylorhiza incarnata. 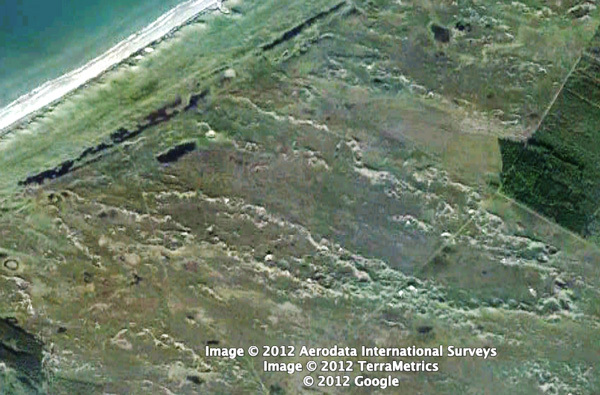 This year, I’ve finally visited this Baltic Sea island, in a quite warm and dry summer. 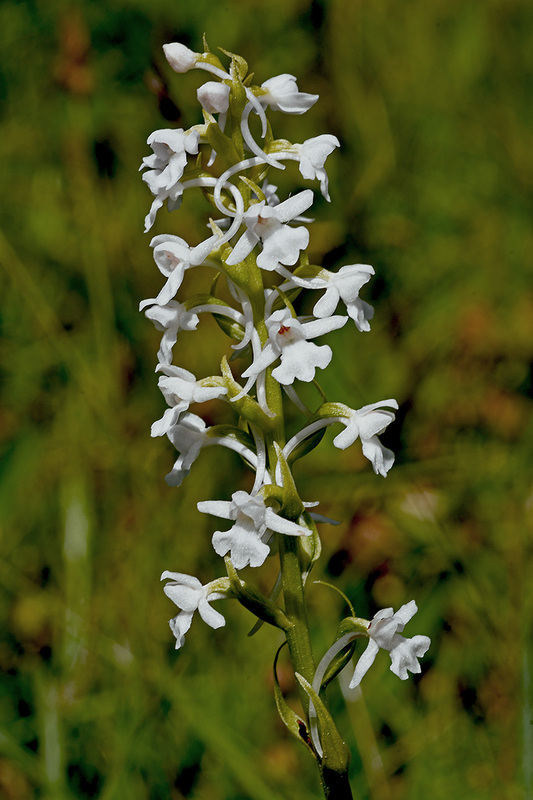 Such Dactylorhiza incarnata f. albiflora without any color hue have been quite rare – on my round trip by bike I’ve seen four plants. That translates into an estimated ratio of two or three per 1000 plants, which is quite the relation to be expected. Quite more often have been plants with a light yellow hue, although those could not always be addressed as the subspecies (or other taxonomic order) ochroleuca. 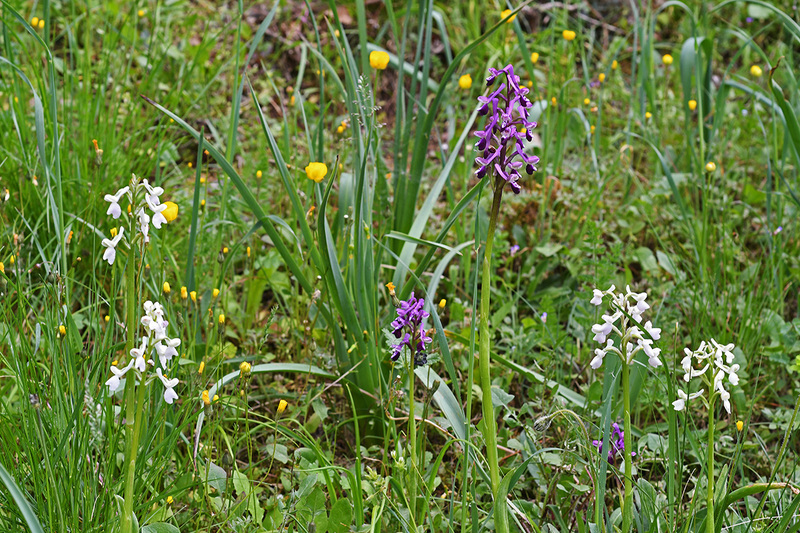 It was obvious that Dactylorhiza incarnata, possibly the orchid with the biggest population on Gotland, is occuring here in an marked color polymorphism – from white (very rare) to yellow (occasionally), light violet/pink (common) and the dark purple (common) flowers of the cruenta form which is sometimes viewed as a subspecies. 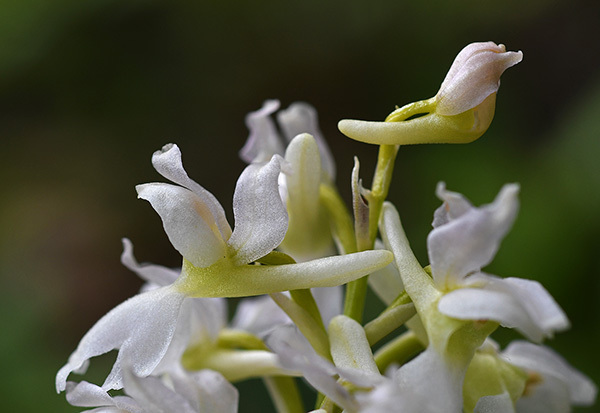 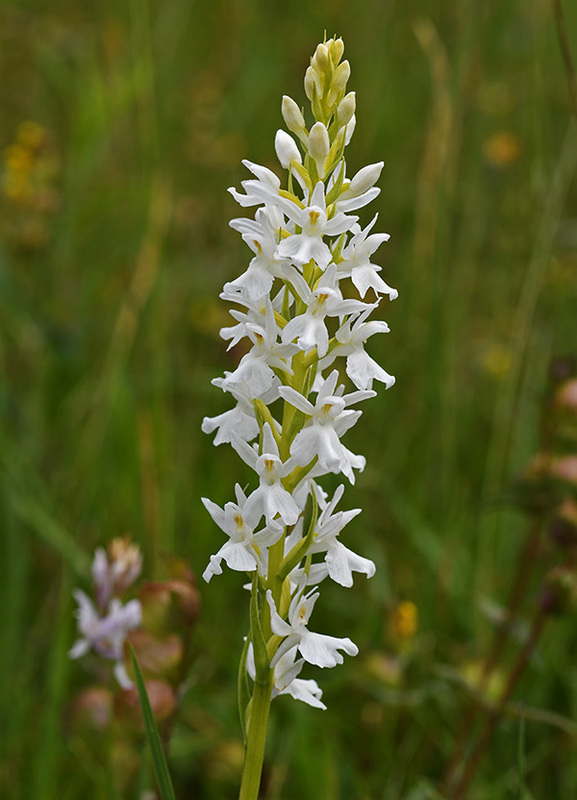 With Orchis mascula there have also been albiflora forms in the frequency to be expected from genetical mutations. 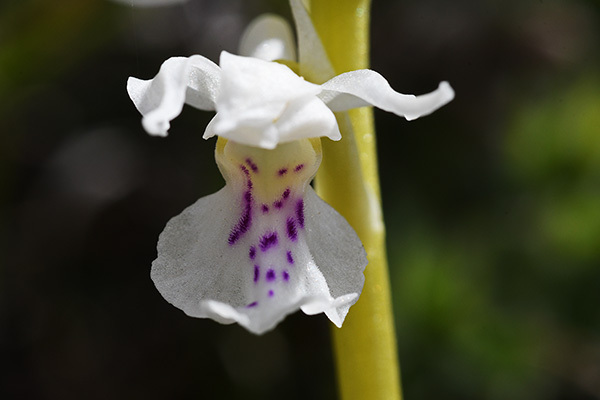 In all those plants the pattern of purplish points in the flower lips has been preserved. 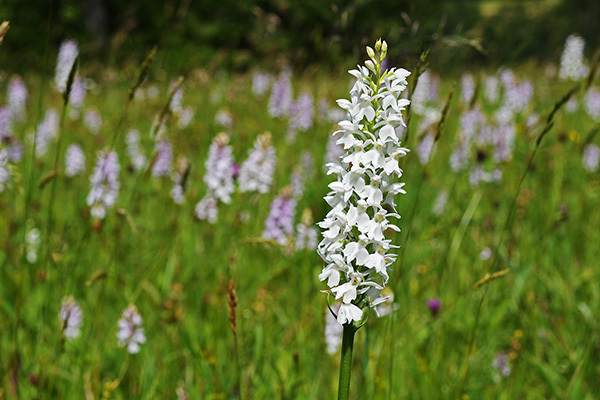 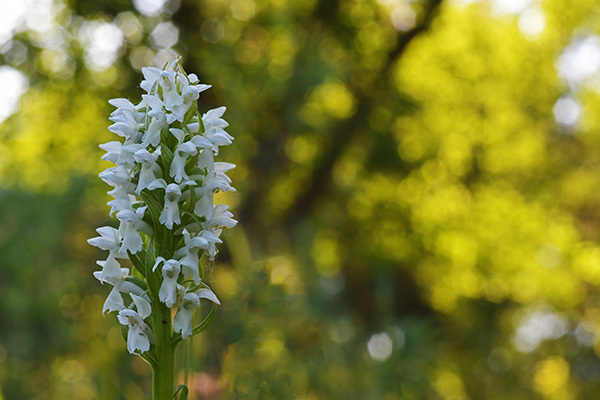 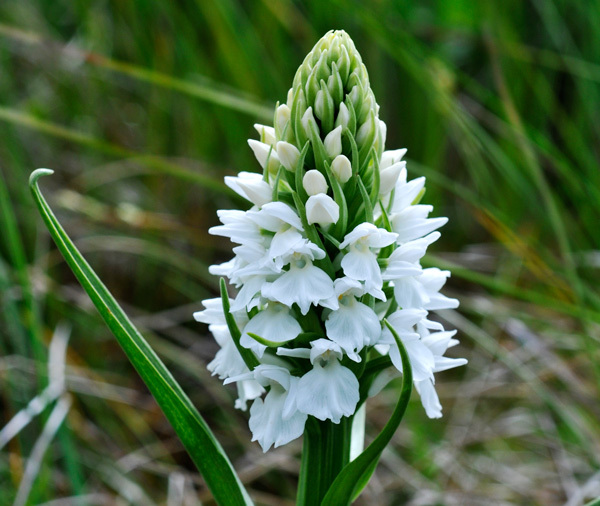 On a meadow near Oestergarn there was a beautiful white-flowered Gymnadenia conopsea among hundreds of plants.. 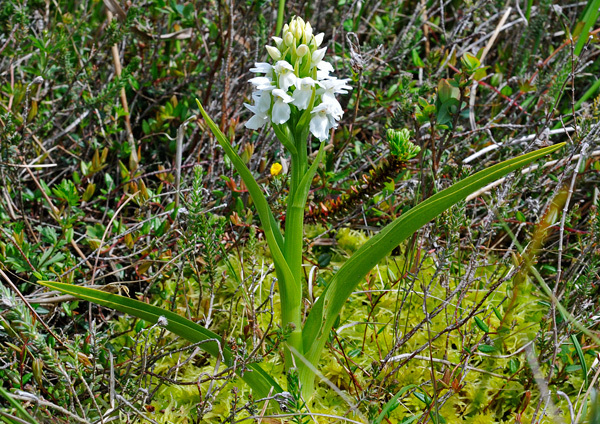 Following a hint by Marco Klüber I also found an almost white-flowered Orchis spitzelii in a pine wood on the Northwestern coast. 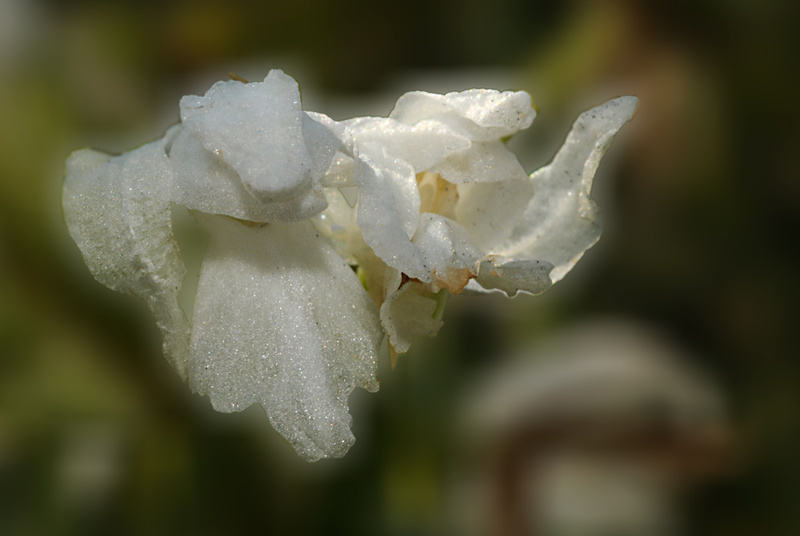 The color hue was still recognizable, the loss of pigments not as far reaching as here. But it’s still an indication that this orchid species also shows a genetical inclination to develop albiflora forms. 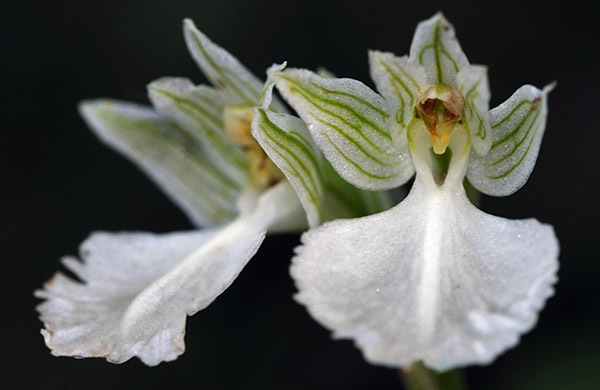 While travelling in Attica, Greece, Marco Klüber photographed this special Ophrys helenae which demonstrates the bilateral symmetry of orchid flowers. 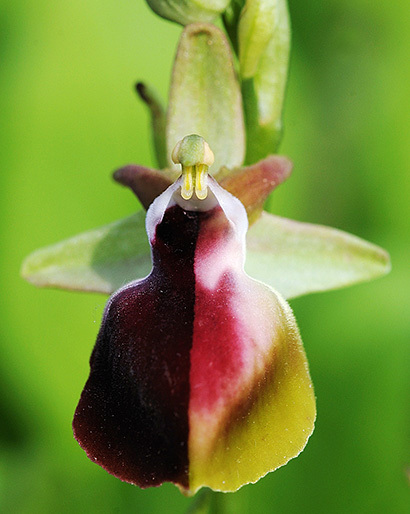 The left half of the lip shows the regular red-brown coloring while the right half is hypochrome, with a partial loss of pigments. 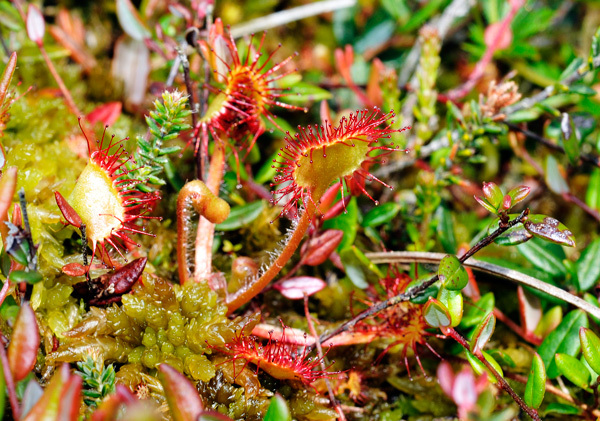 The lighter red hues are preserved, in addition to the chlorophyll in the lower edges. 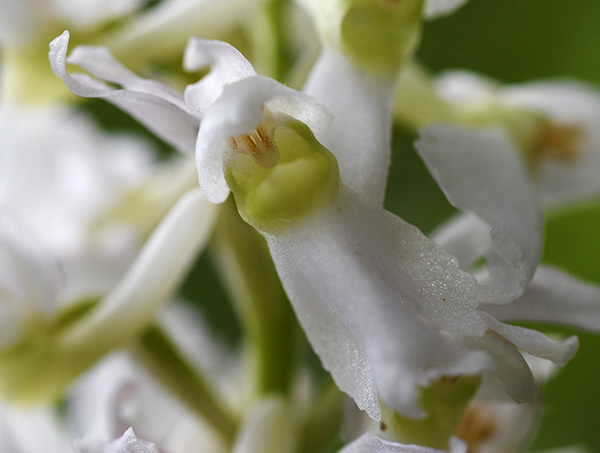 Orchid flowers have a bilateral symmetry – as it’s the case with beetles or the human face elsewhere in nature. 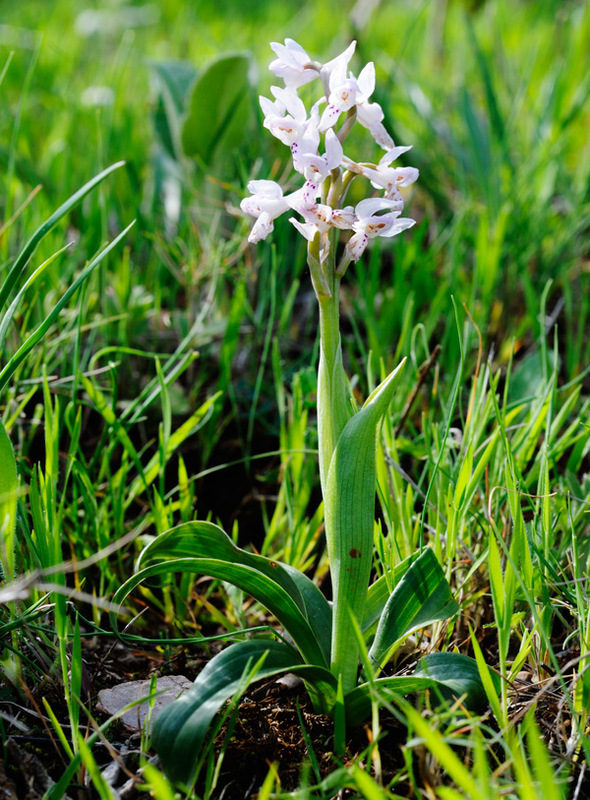 Other plants like the flowers of liliaceae have a radial symmetry with three or more mirror lines. Orchis olbiensis has a colourful and a light variety, as it is stated by Kretzschmar/Eccarius/Dietrich in “Die Orchideengattungen Anacamptis, Orchis, Neotinea” (Buergel 2007, p. 322). 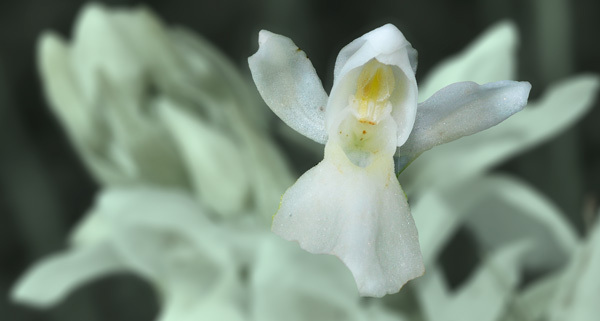 The light variety has flower colours between rose and almost white – with a colourful lip pattern contrasting to the light background. 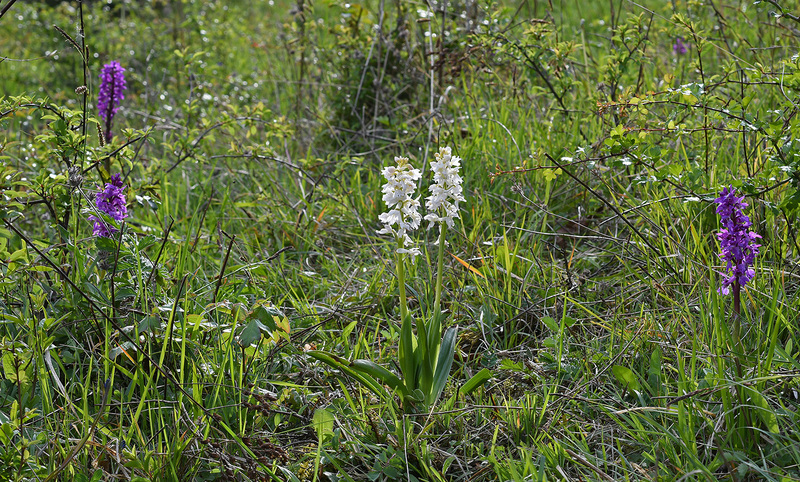 The white-flowered plant comprises almost half of the populations in Spain, the authors observed – quite in difference to the almost purplish flowers of Orchis olbiensis in France. 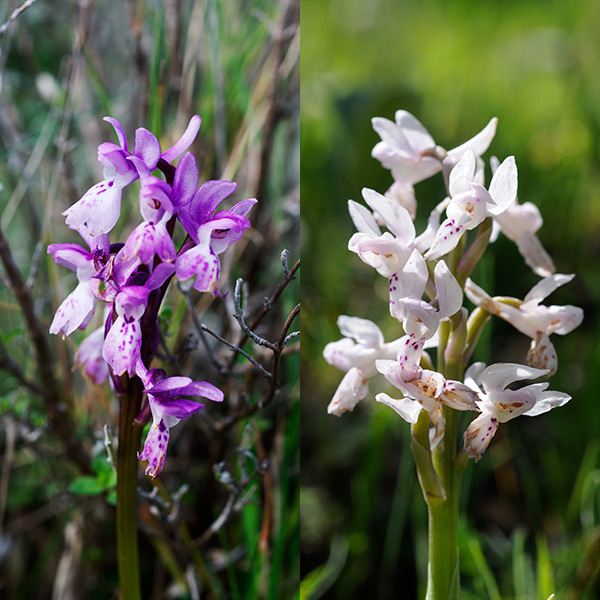 Five years after visiting Orchis olbiensis for the first time in Southern France, I had now the chance to study Orchis olbiensis in Southern Spain, in the province of Malaga. 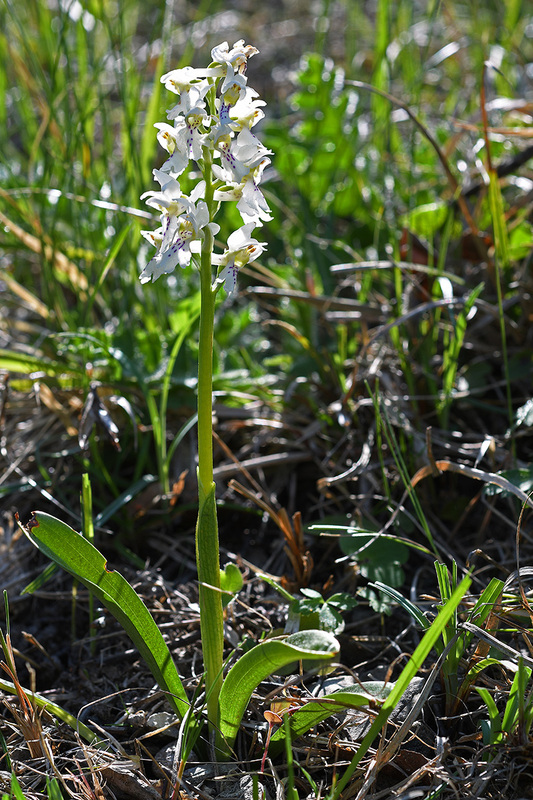 Though in mid-April I’ve been quite late for this species, I found two albiflora forms of Orchis olbiensis in the limestone formation of the Torcal, near the small town of Antequera. 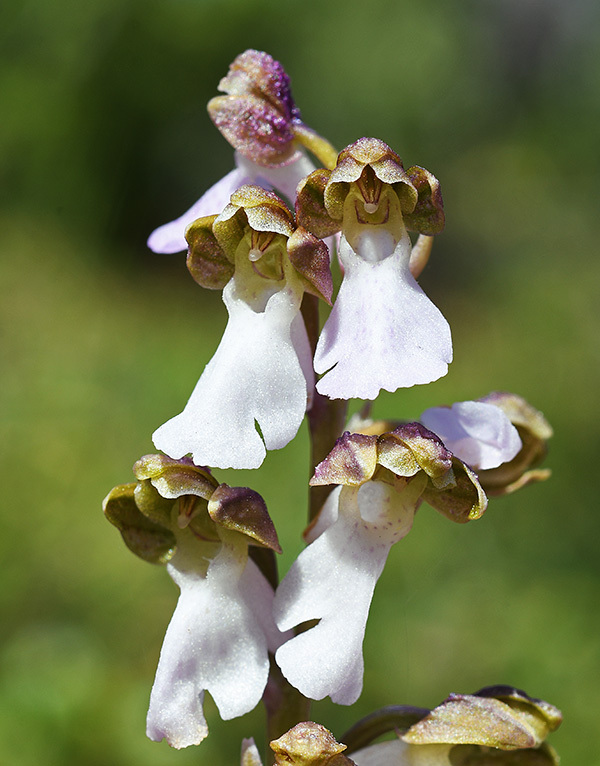 The greater plant had nine almost white flowers with the fine purplish dots still conserved. 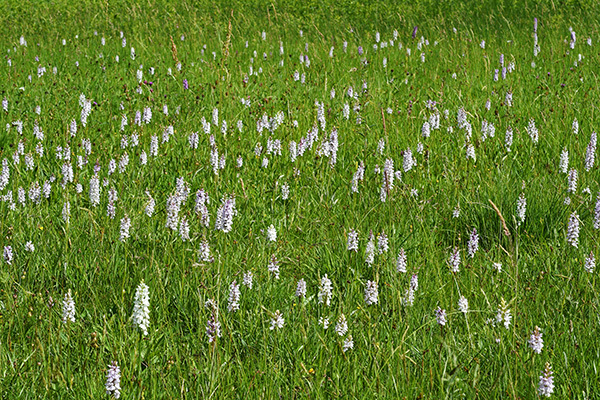 In this habitat there were also growing Anacamptis papilionacea, Ophrys scolopax and Orchis mascula subsp. 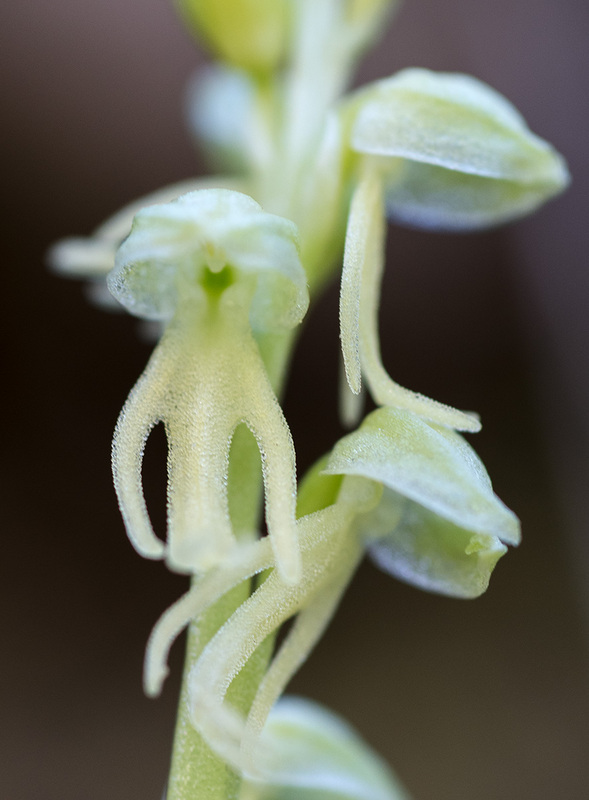 laxifloraeformis. 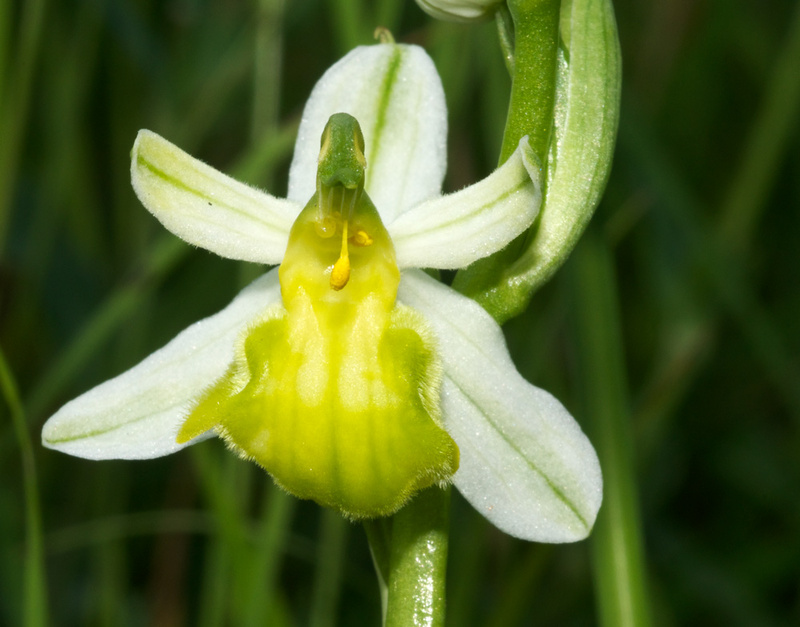 Finally, I’ve met her: The bee orchid at the Rhine port of Basel which has been described as Ophrys apifera var. 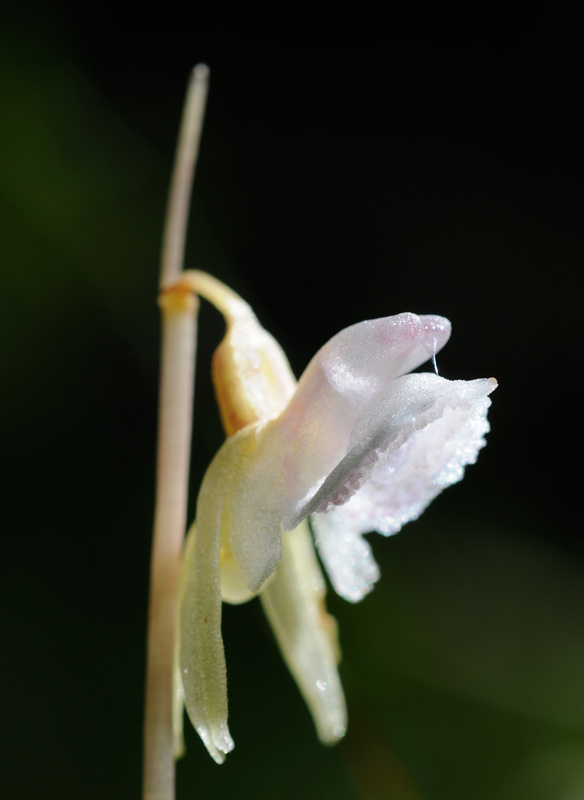 basiliensis – in 2006, Paul Delforge “downgraded” her to Ophrys apifera f. basiliensis. 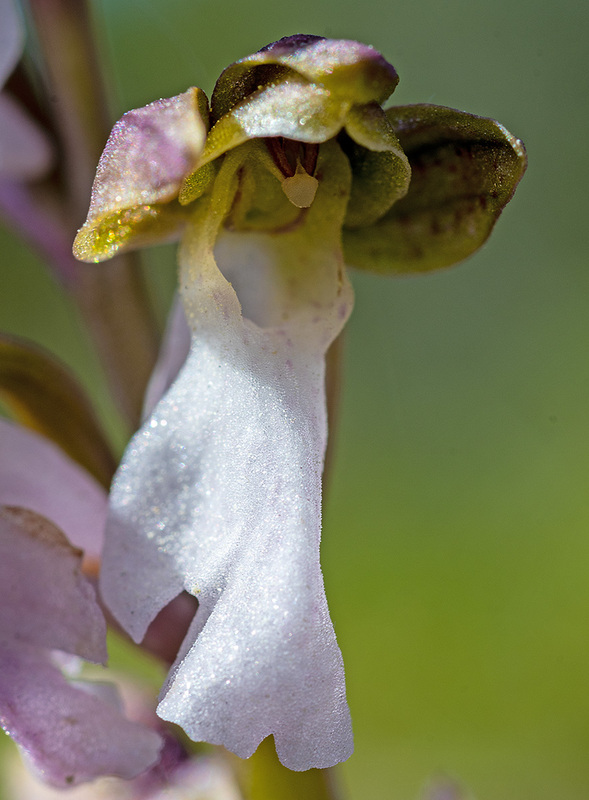 My Swiss friend Klaus Hess has told me a couple of years ago about this special population of bee orchids. 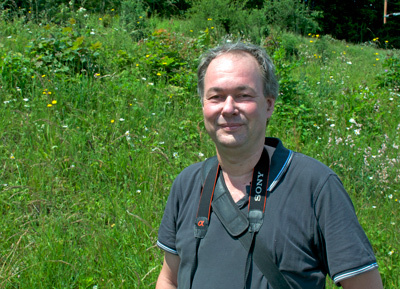 Now we met at Basel and took the bus to a place called Waldhaus. 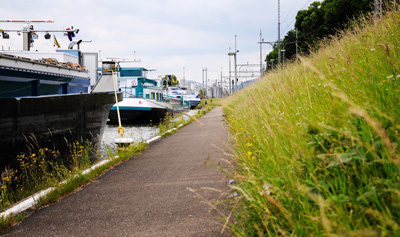 There, we walked to the bank of the Rhine. Between the railway tracks and the river, limited between the container terminal to the West and the old Auhafen to the East, there is a small strip of grassland quite rich with species. Dominated by Bromus erectus, there is also growing Knautia arvensis, Geranium pyrenaicum, Leucanthemum vulgare and other flowers. 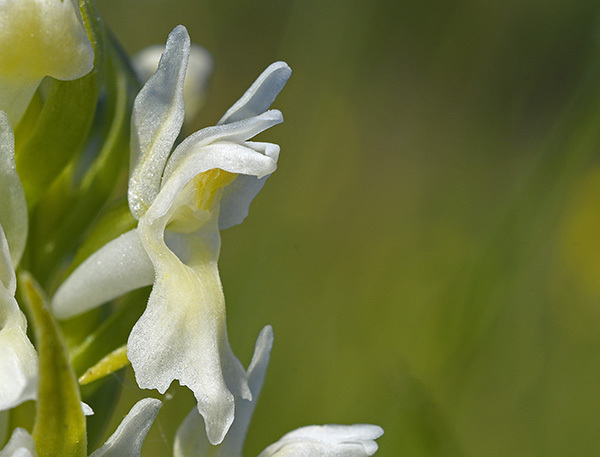 Soon Klaus found the first of these special bee orchids. 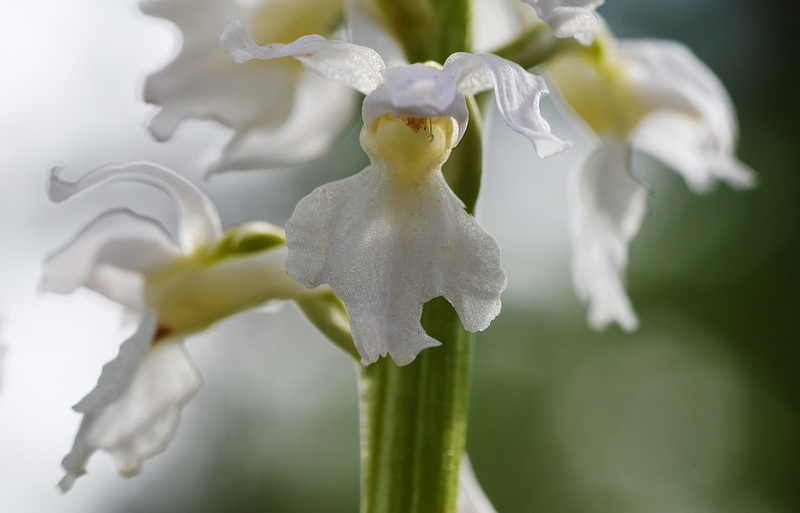 They are special not only due to their lack of pigments, but also to the special form of the petals. 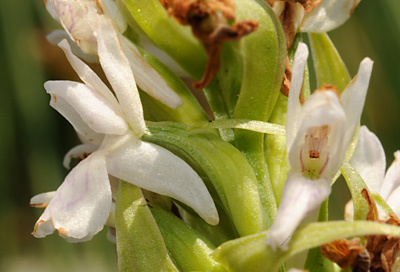 Those are sepaloid, much longer and broader than usual with bee orchids. 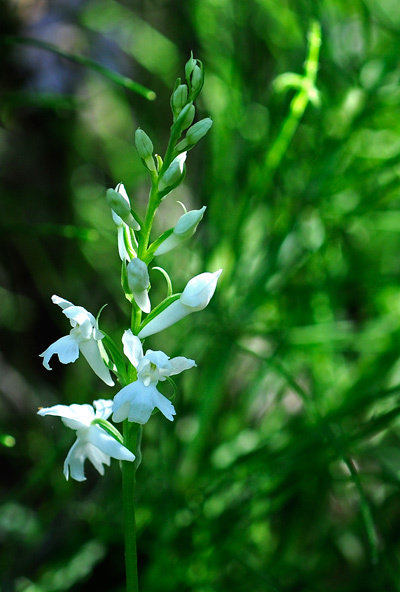 We are just in the beginning of the flowering time. 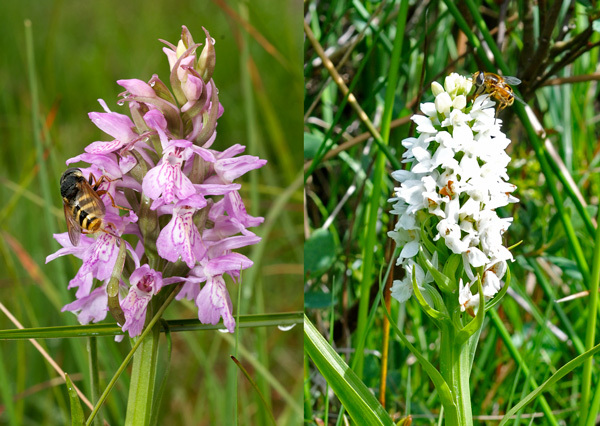 As Klaus was looking for further plants I studied the flower with my camera – and observed the rare visit of an Andrena bee at a bee orchid. 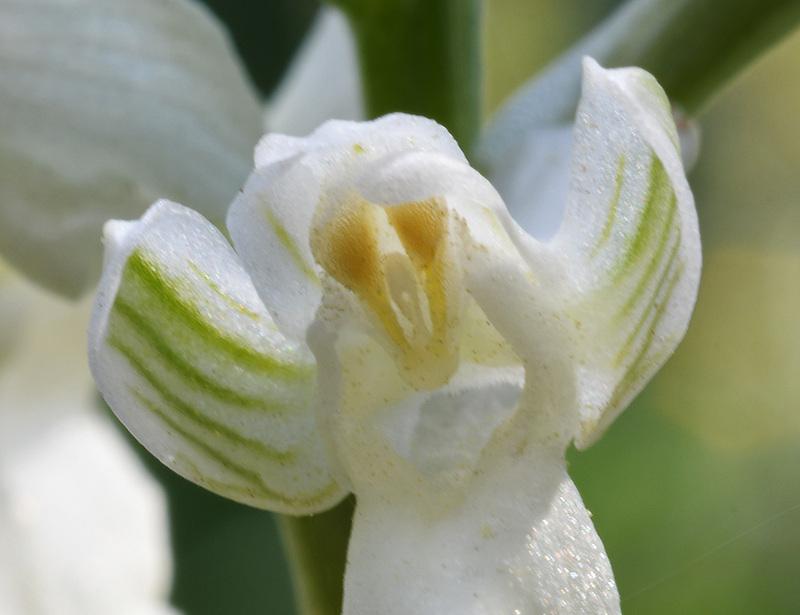 It was just a visit, not a pollination at all, though the bee carried pollen from other flowers. 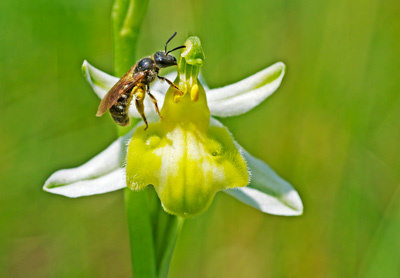 Ophrys apifera is autogamous, and the yellow pollinia are soon falling down to perform self fertilisation. The next surprise on this Ascension holiday was meeting Stefan Schwegler, who has described those bee orchids as Ophrys apifera var. 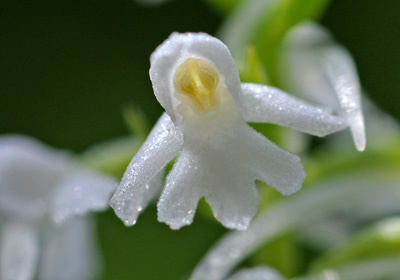 basiliensis (in: Orchid Review 112/2004). 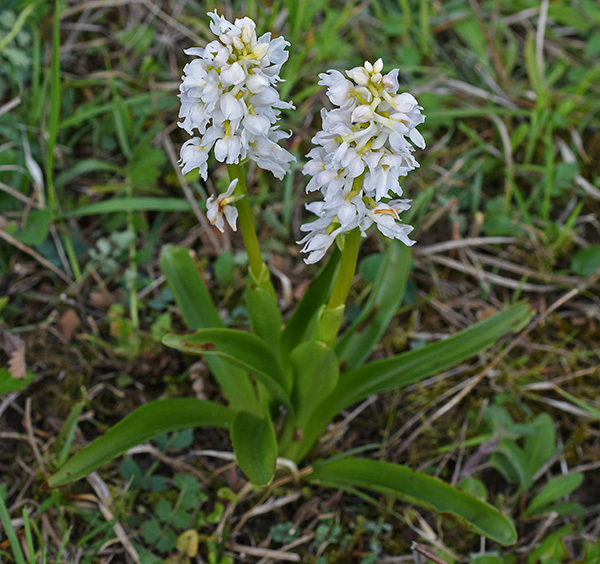 He showed us a couple of other plants, among them a regular Ophrys apifera with its brown and yellow pigments as well as Platanthera chlorantha, Anacamptis pyramidalis and Dactylorhiza fuchsii. 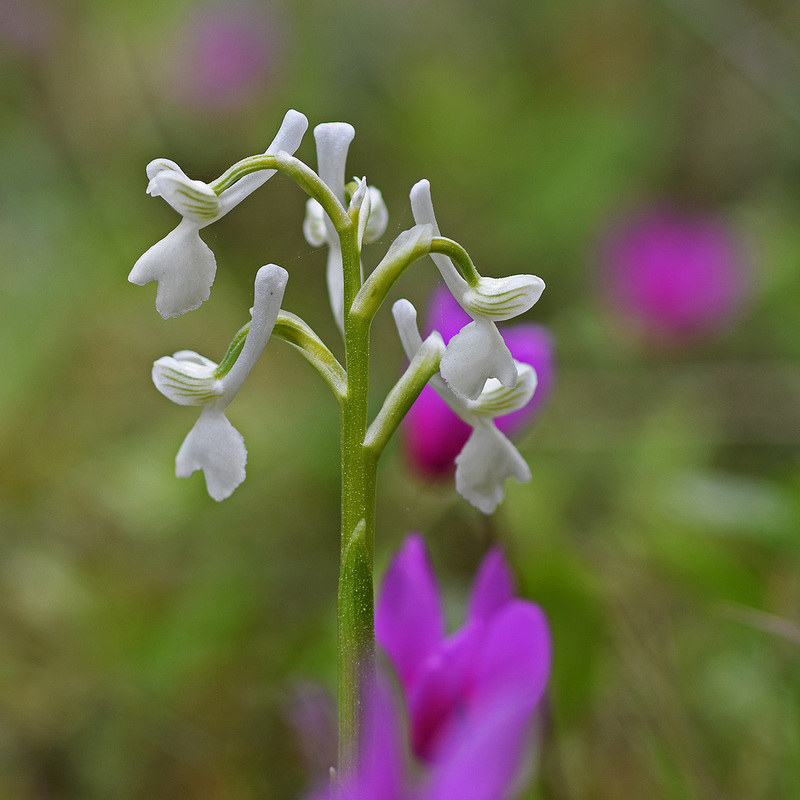 And he told us about the permanent struggle to conserve this special place against commercial interests of the port management. 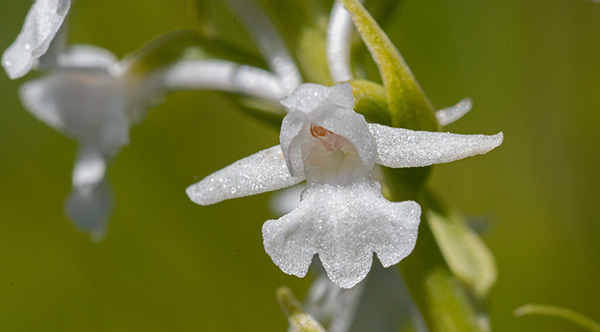 The population of Ophrys apifera var. 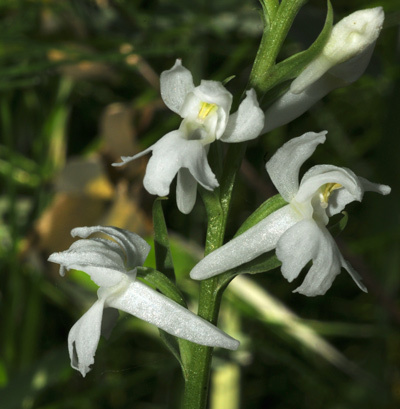 basiliensis is declining, Stefan Schwegler explained, but still consists of about 100 plants. 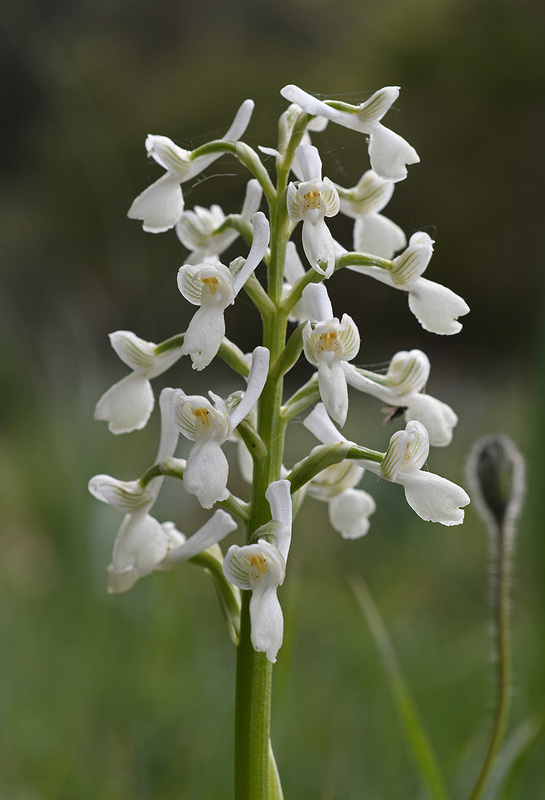 Most of them don’t flower every year, but wait for their moment to appear. 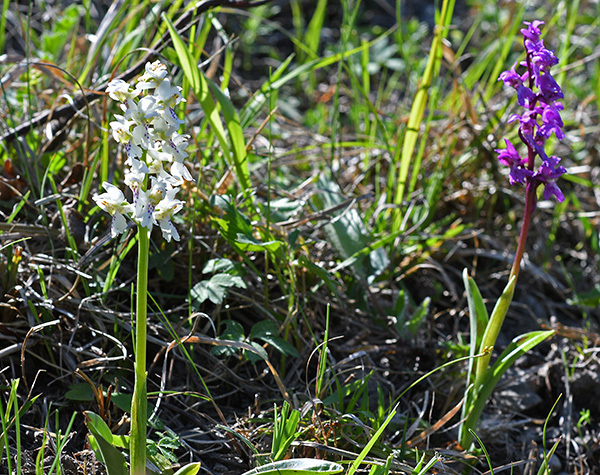 The single flowers don’t show any hue of purple, even the pollinaria lack Anthocyanin. 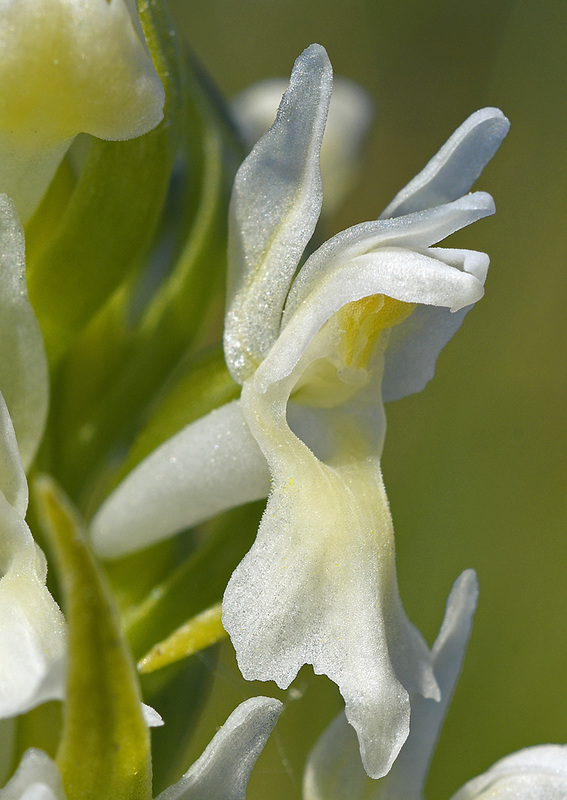 There is rather some yellowish hue in the center of the flower, slightly reminding of Dactylorhiza incarnata subsp. ochroleuca. In contrast to other populations of albiflora forms, e.g. 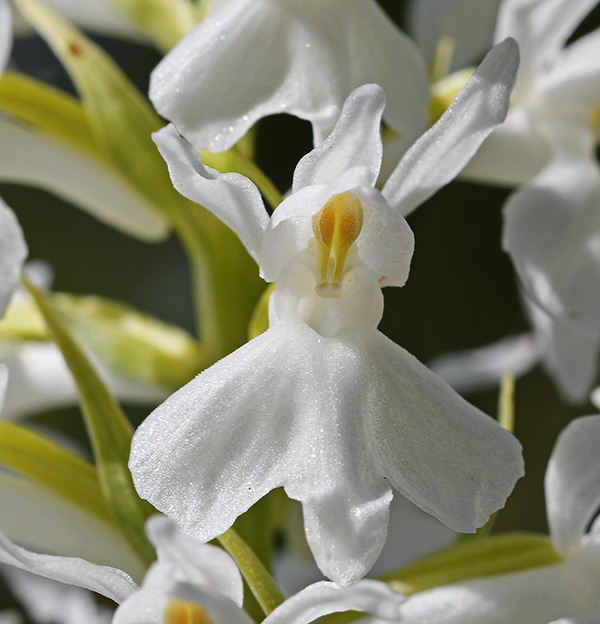 with Dactylorhiza fuchsii, there are no gradual differences in the loss of colour pigments – all the plants are consistent in the white colour of their flowers. 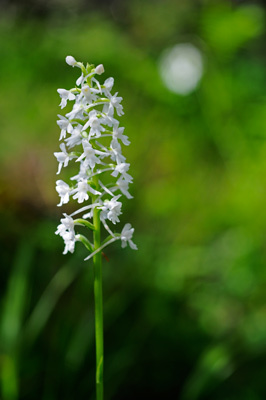 In mid-June the orchids are just in the beginning of flowering. 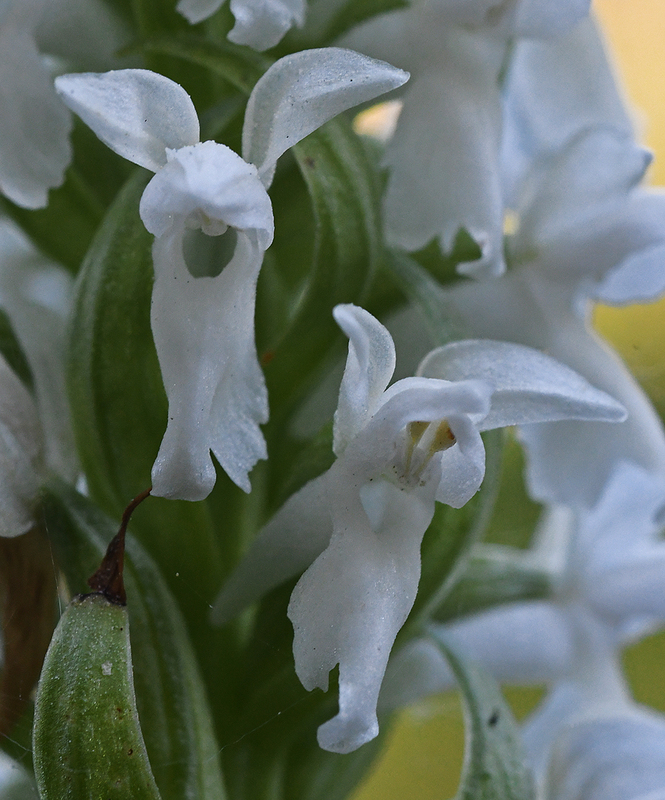 Most Dactylorhiza majalis subsp. 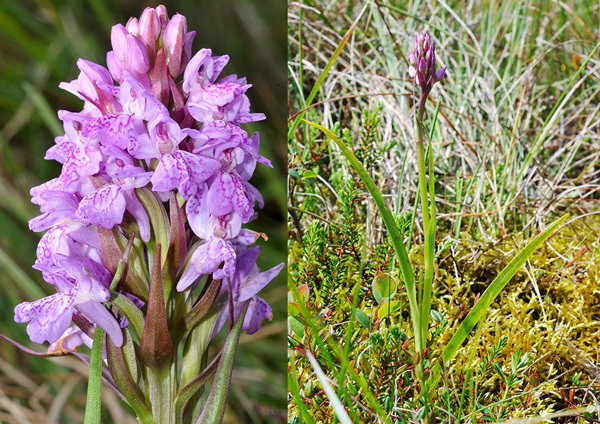 calcifugiens are growing at the edges of the wet places, not in the midst of them as it is the case with Dactylorhiza sphagnicola in the Venn moors in Belgium. And the calcifugiens plants are quite smaller, reaching just a height of up to 31 cm. 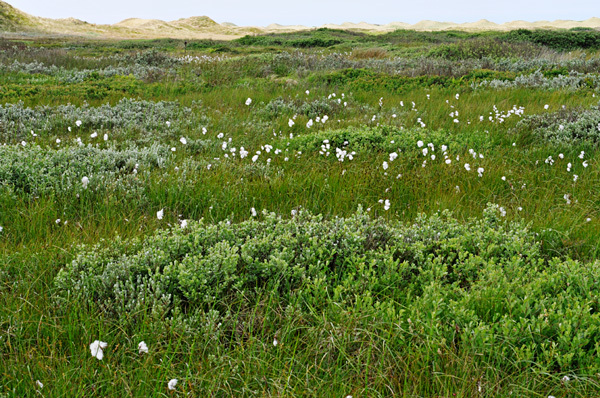 Neighbouring plants are Sphagnum palustre, Equisetum fluviatile; Eriophorum angustifolium, Menyanthes trifoliata, Vaccinium oxycoccus, Calluna vulgaris, Trientalis europaea and even Drosera rotundifolia – most of those plants are clear indicators of acid soil. 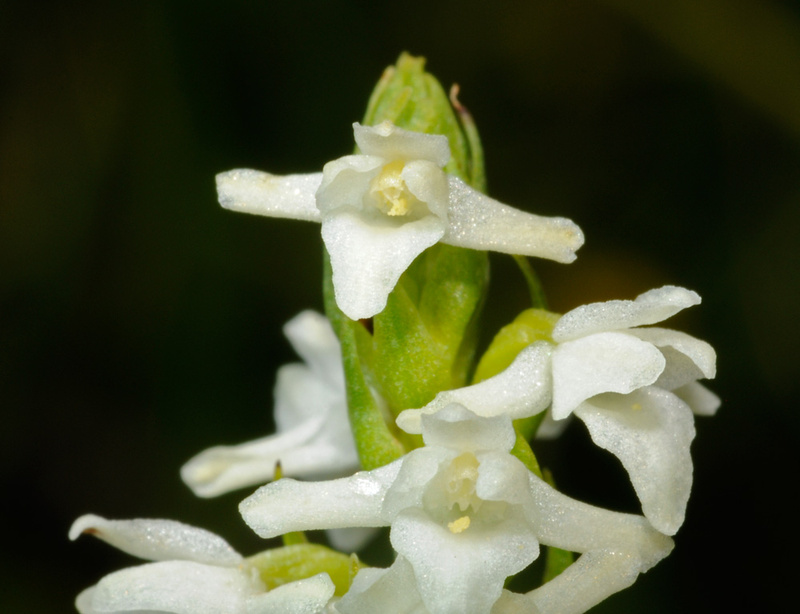 Among the shrubs there is the dominant Myrica gale, which is used by the brewery of the near-by town Thisted. 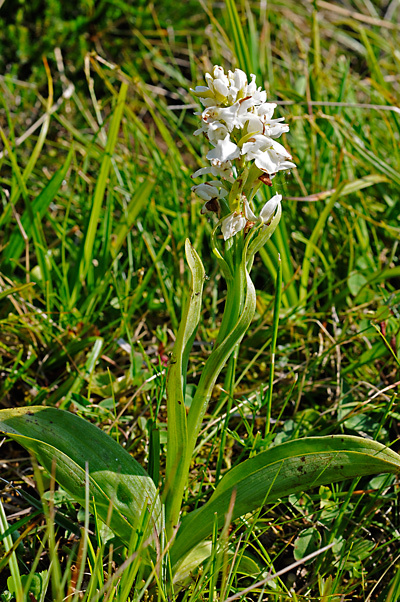 Some calcifugiens plants show a broader labellum, indicating a possible hybrid influence of Dactylorhiza maculata – similar to the sphagnicola plants of the Venn region.